The morning after we arrived in Cabo, the swelling had gone down in my foot and my husband was ready to try and remove my stitches. I thought I could do it on my own, but my hands were shaking too hard, so my husband took over. The top of my foot was very sensitive, so he had to be very gentle. 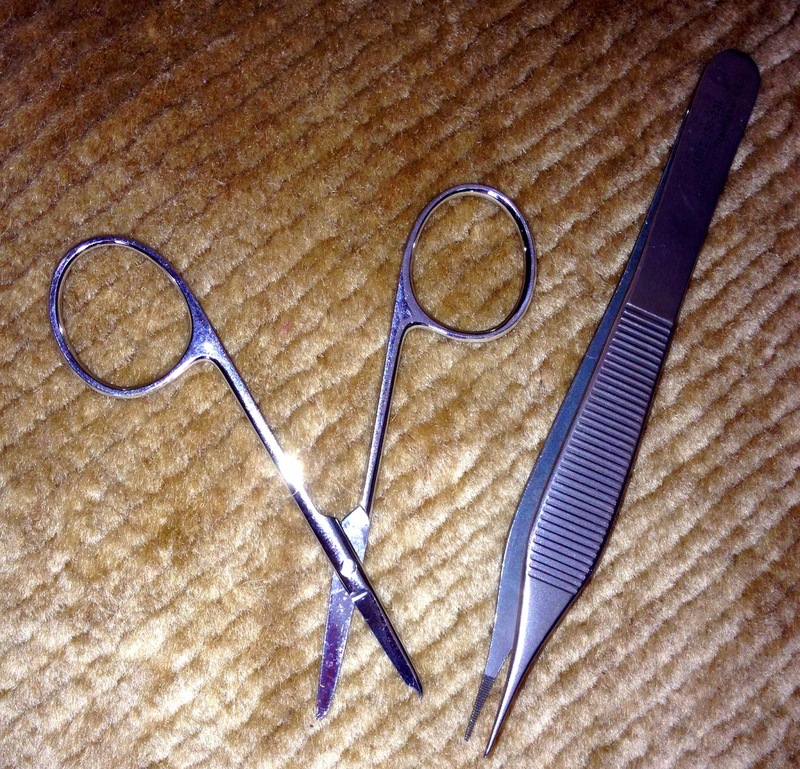 My husband took his time and made sure each thread of my 8 stitches was accounted for. After we were sure everything was done correctly, he adhered steri-strips to my incision to help hold it together. I was now ready to do the “homework” my surgeon gave me. 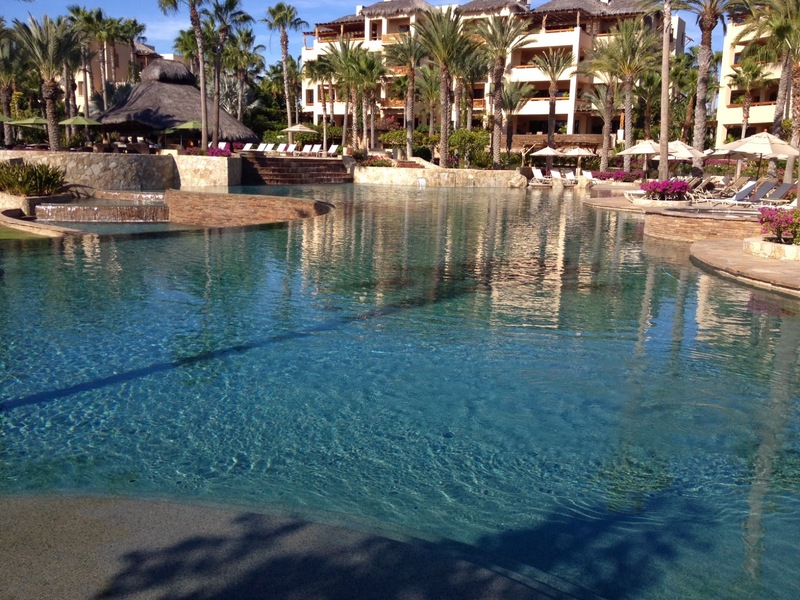 He asked me to walk several times a day in the resort pools in order to begin to regain the proper movements for walking once again. I was not able to swim at all, and was actually content walking around the pool smiling to myself because I was walking again without pain!!!!!! As you can see, the pool was large enough to really get in a lot of walking! 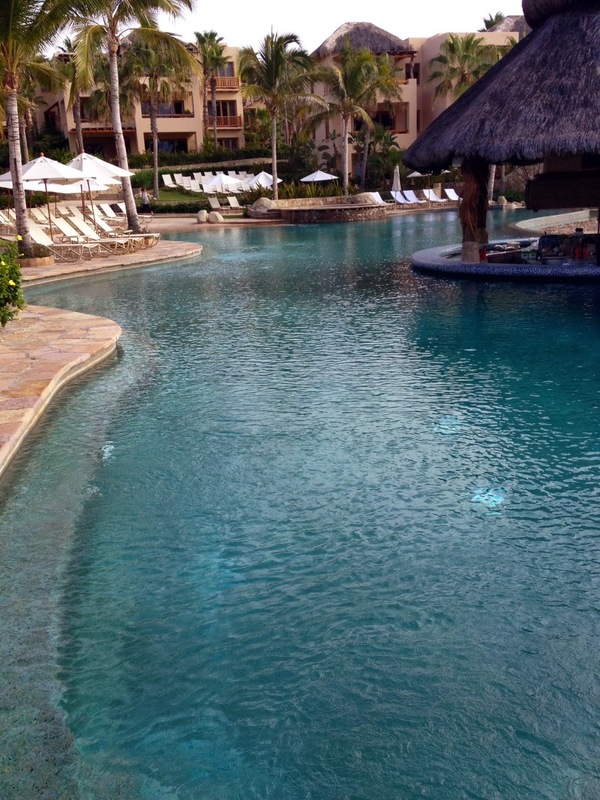 Once I was able to walk without concentrating, I pushed my husband on a float around the pool while he read a book. Other guests asked me if they could hire me to do the same thing for them! 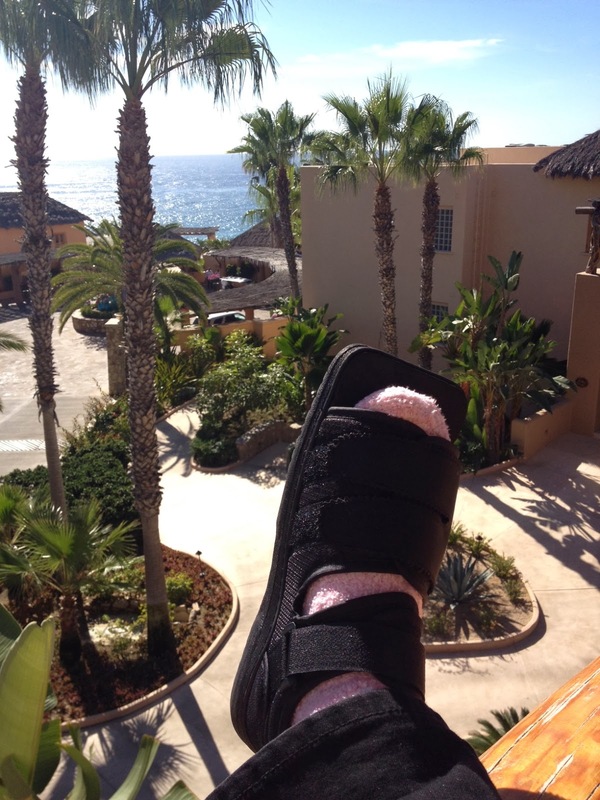 I decided that recovering from lisfranc hardware removal surgery is best done in Cabo at the Esperanza resort!!! 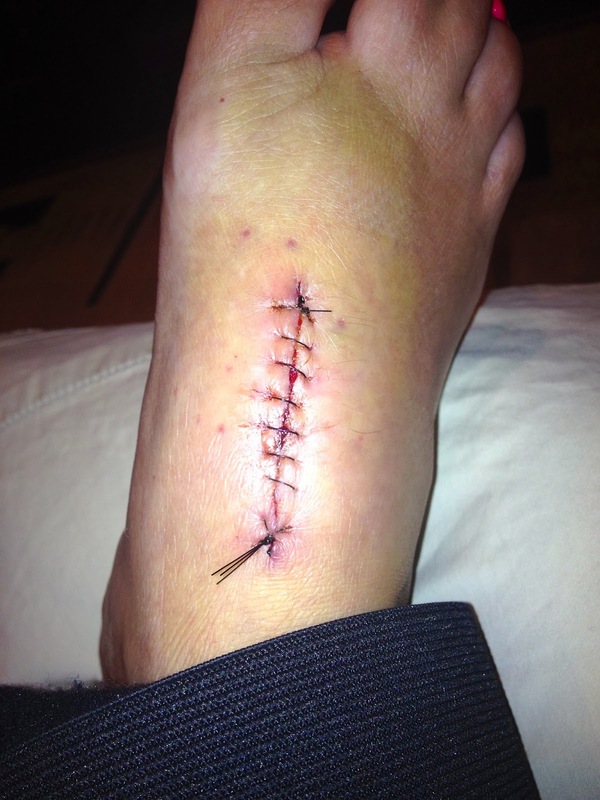 2 weeks after my lisfranc hardware removal surgery I couldn’t wait to have my stitches removed. The pain from this surgery mostly stemmed from the incision site and each step I took made me feel like my skin was ripping. Because my incision looked red and was hot to the touch, I was concerned that it may be infected. When I arrived at my 2 week post op appointment, my surgeon assured me I did not have an infection and that my incision looked “normal” with the amount of weight bearing I had been doing. He asked me to remove the stitches after waiting 24 hours for my foot to recover from plane swelling. 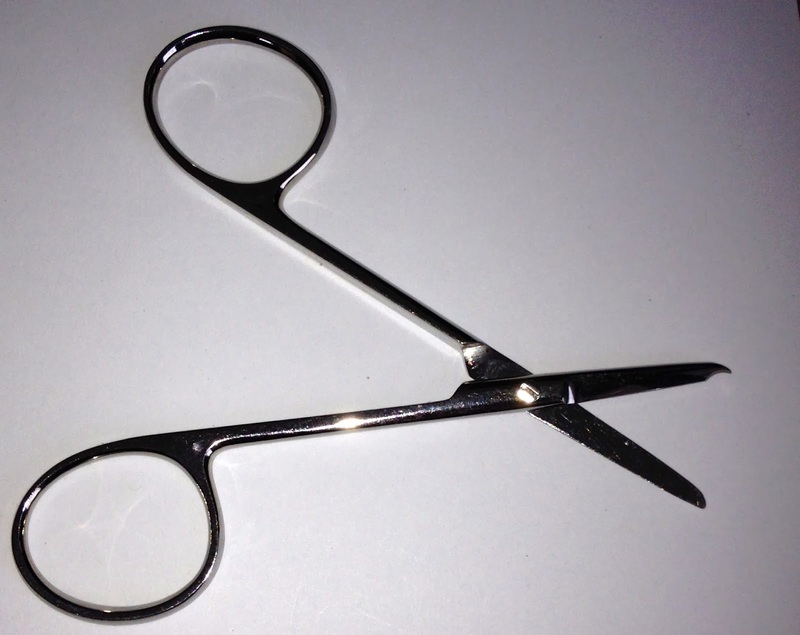 He sent me to Cabo with a suture removal kit and showed me how to remove my own stitches when the time came. Notice how the scissors has a pointed edge to help pull up the stitch for easier cutting..
We arrived at our favorite resort in Cabo San Lucas, the Esperanza Resort. My “cute” surgical boot and I made it at last!! 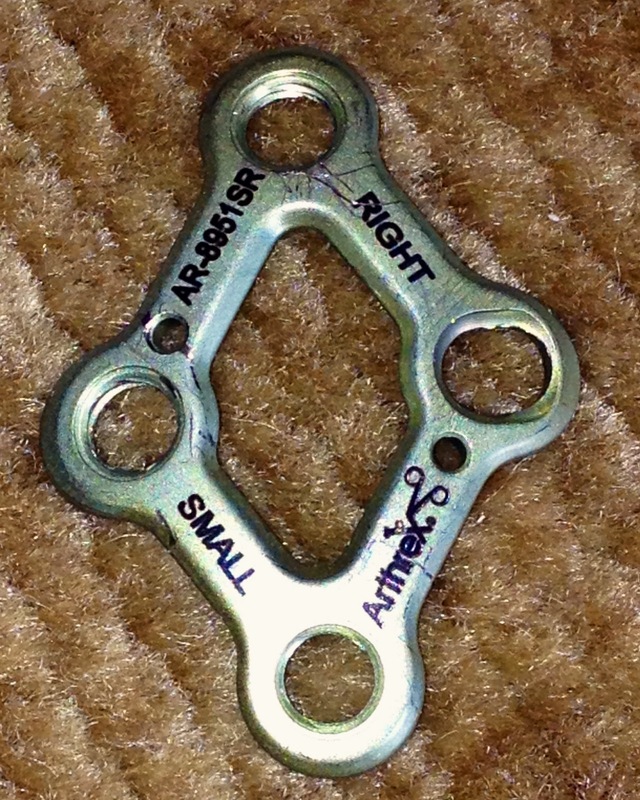 A few days after Thanksgiving, the hardware my surgeon removed from my foot arrived in the mail!!! My surgeon knows I have been writing a lisfranc blog and was more than happy to let me keep the hardware he used to help my body heal from a lisfranc fracture. 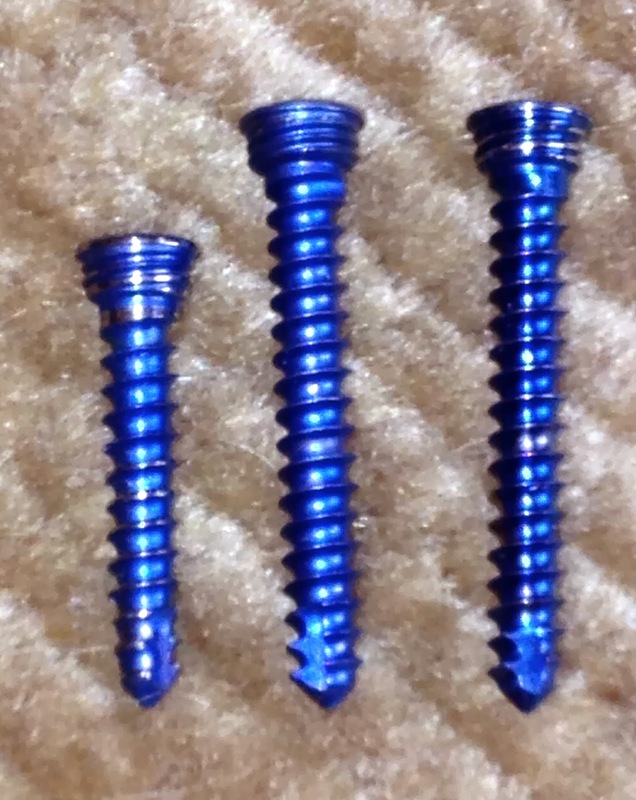 What amazed me was to see the screws varied in color, physical size and thread size. 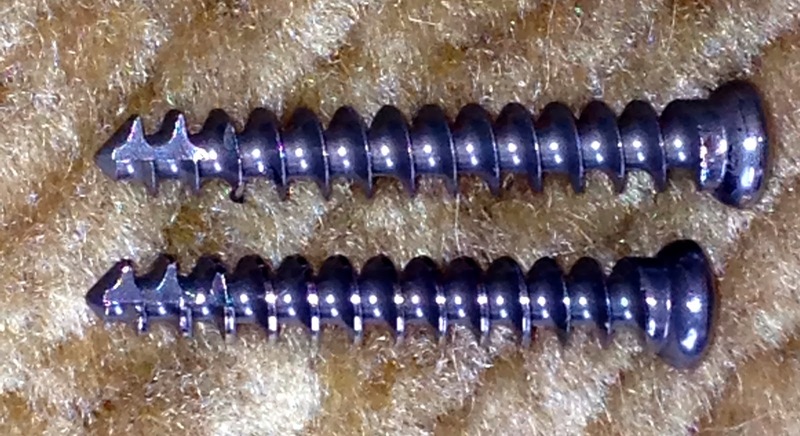 Check out the teeth at the end of the screws!!! YIKES! Maybe it was for the best that my anesthesiologist would not let me watch either surgery! Psychologically it has been very rewarding to think I no longer have plates and screws in my foot. 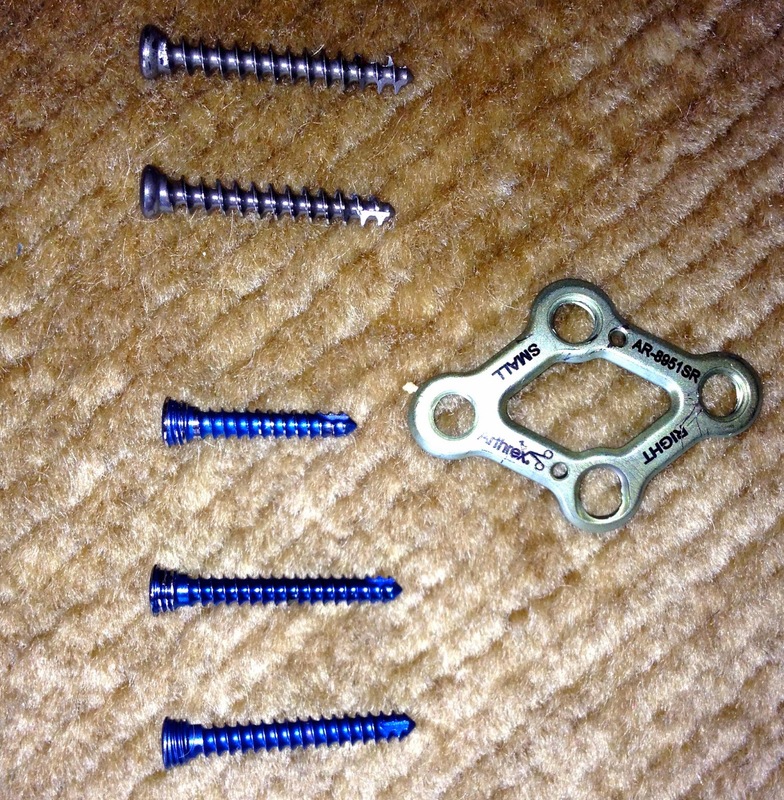 My surgeon has assured me that in the next 6 weeks, the holes in my bones left by the screws will fill in. 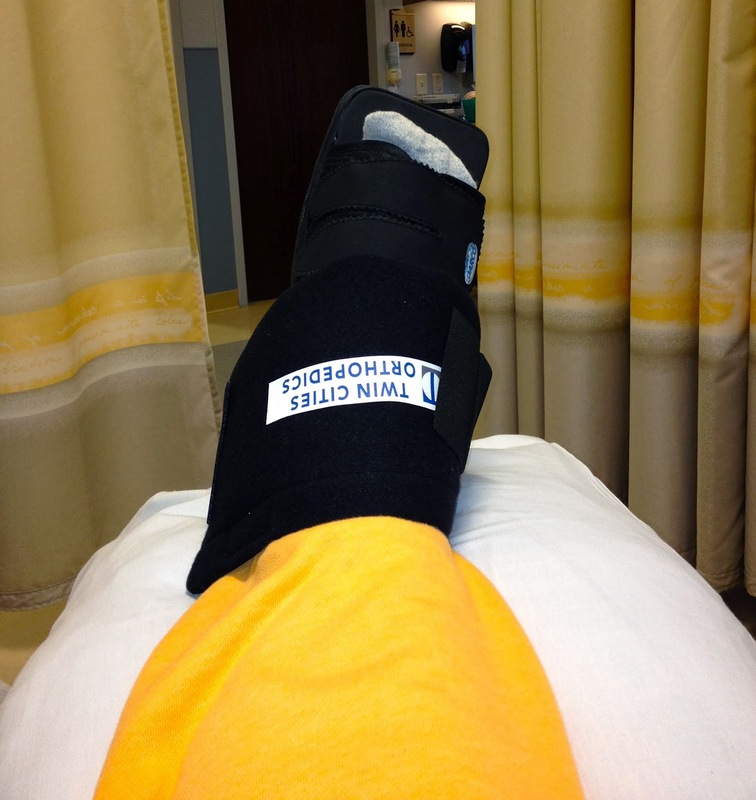 I cannot believe it was 33 weeks ago today that I had my lisfranc surgery! I apologize for not keeping up with my blog these past few weeks. 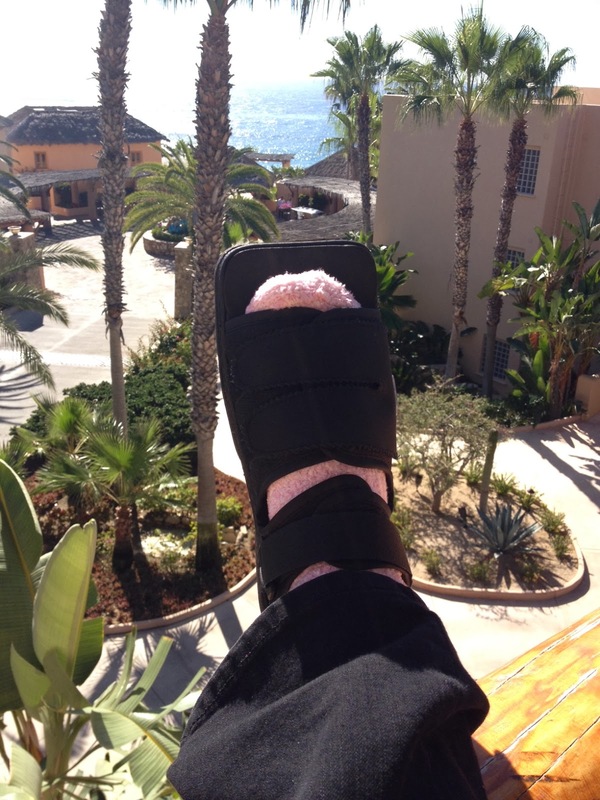 I had my lisfranc hardware removal surgery on Nov 20th (5 1/2 weeks ago) followed by entertaining for both Thanksgiving and Christmas plus my husband and I took a “lisfranc hardware removal recovery trip to Cabo. So things have been hectic. I will try and pick up where I left off from my last blog. My husband hired a chief to prepare the food so the only thing my husband had to do was warm up all the food. Our guests were mostly family members and all understood that I had to play the princess once again. 2 days after my lisfranc hardware removal surgery I was told to remove the dressing and ace bandage. I wasn’t sure what my foot would look like, and I was surprised it wasn’t more swollen. You can still see where my surgeon placed his initials and where I signed “yes!” indicating my right foot was the correct foot to be operating on. 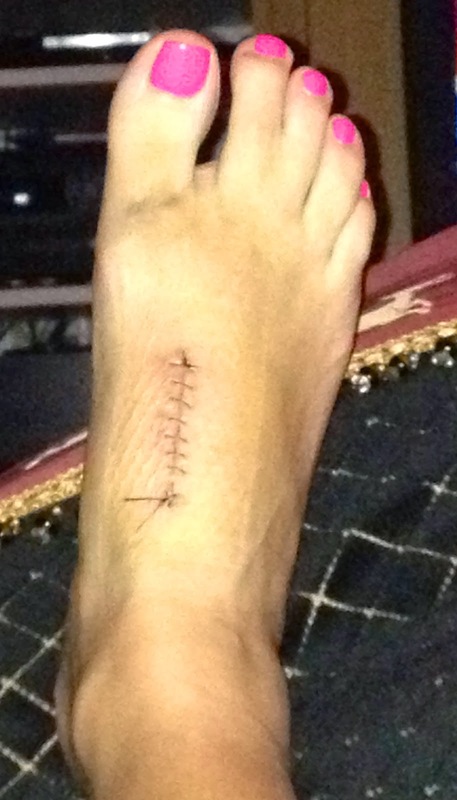 My surgeon used the exact same incision for removing the hardware as he did for my original lisfranc surgery repair. After a shower I had to let my incision air dry and I needed to elevate and ice, something I know how to do! My nurse told me the ice doesn’t have to be over the incision, and that icing the ankle will help just as much. That knowledge came in handy since the incision area is very tender! I have been keeping the incision covered with a large band-aid which protects the area from germs. 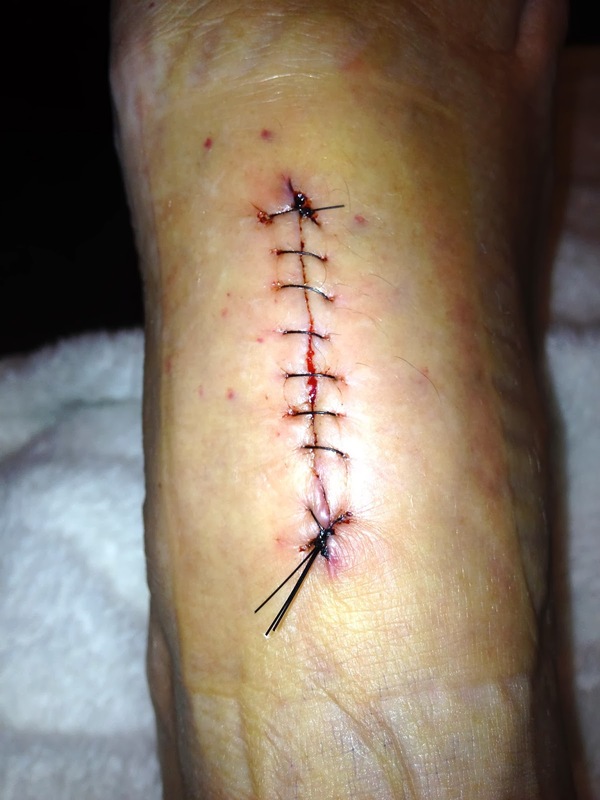 I remove the bandage daily to make sure the area around my stitches is not turning red with infection. I have been meticulous about staying off my foot as much as possible and have been icing and elevating most of the time. This has been hard, psychologically, for me because it seems like I have gone backwards in my lisfranc journey. But I know, that in a little more than a week, my surgeon will remove my stitches and I will be able to resume walking again, and this time, I hope it will be pain free ! Last Wednesday I went in for my lisfranc hardware removal surgery. I requested the same nurse that I had for my lisfranc surgery and was thrilled when she came to get me from the waiting room. Nurse “Emily” is the perfect combination of humor and empathy with the ability to convey information in a way I can hear. In preparation for my surgery, nurse Emily got me into a heated gown, and covered me with heated blankets, which made me feel like I was at a spa. As she started my IV and explained exactly what was going to take place, I shared that I wasn’t nervous about the surgery itself, but was really anxious about the pain and recovery period. As we were talking, Emily took my blood pressure and it was 168!!!! Nurse Emily immediately started re-assuring me that it would be nothing at all like my last surgery and that I would be feeling “normal” in a few weeks. Then my surgeon walked in, calm as ever, and with a reassuring smile asked me how I was doing. Since it was nearing the end of his surgery day, I immediately asked him if I could buy him a cup of coffee. He laughed and said he was plenty alert for me. He reassured me that this surgery would be nothing at all like the last one and then talked with me in depth about the kind of anesthesia I would be having. The biggest question I had was whether I would have to go another 6 months with my big toe and the top of my foot being numb. 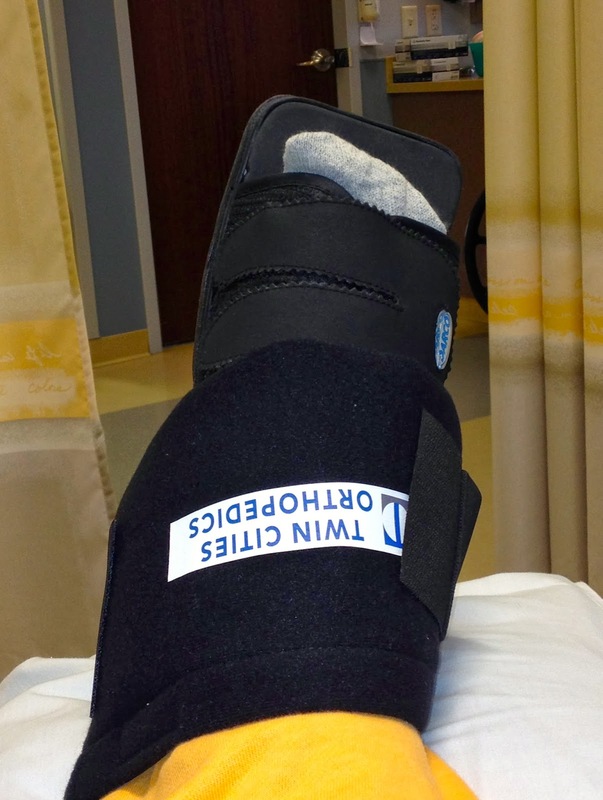 We decided together that I would not have a nerve block unless I absolutely needed one which would cut down on the likelihood of lingering big toe numbness. When he left, I was a lot more at ease with what was about to happen. Emily shut my curtains and told me to rest until it was my time, which turned out to be 1 1/2 hours! I have never sat in a room, with nothing to read and nothing to do for that length of time. Unrestrained thoughts can be a dangerous thing! Finally, my surgical nurse, Sarah, came to get me and she and the nurse anesthetist wheeled me into the operating room. The operating room was quite cold and when I mentioned the cool temperature, I was asked to transfer to the operating table with the promise of more warm blankets. The operating room table was really narrow and did not have space to put my arms by my sides. While I was still trying to decide where to put my arms, someone took my arms and placed on side tables located on either side of the operating room table while someone else secured a thick strap over my stomach. I asked why the strap and was told it was so I wouldnt fall off the operating room table during surgery. About now I was starting to get a little creeped out, and as I was staring up at the ceiling at the many bright white lights that looked a lot like spider’s legs, a mask was placed over my mouth and nose. I was very happy to succumb to the anesthesia!!!!! It felt like only a few minutes when I woke up in recovery with my nurse Sarah asking me if I had any pain. As I slowly came to, I felt a searing red hot pain in the top of my right foot and noticed tears starting to stream down my face. I told nurse Sarah I was quite uncomfortable and she said I did not have a nerve block and that they needed to control my pain with meds instead. She immediately gave me a couple of opiates and some crackers. After about 20 minutes my pain level decreased from a 7 to a 3 for which I was grateful. After getting my pain under control I was offered ice water and I can honestly say, no ice water has ever tasted so good!! My surgeon came in smiling widely and told me everything went extremely well and asked me if I wanted to keep the hardware he removed from my foot. I told him I planned to take pictures of it and post it on my blog and keep it next to my boot. He laughed and said they would sanitize it and mail it to me. Eventually, my pain remained under control and I was told I could return home, where I have been mostly in bed, sleeping and occasionally visiting with family and friends who have been care taking me and my husband. After recovering from lisfranc surgery for 27 weeks, my husband and I took a quick trip to Florida before I head back into surgery tomorrow. I was not able to walk barefoot on the beach, and sandals were still uncomfortable, but that didn’t stop me from being able to enjoy the feeling of sand on my toes! I decided to be really adventuresome and try walking through Sea World. We took it slow, and I was able to manage walking around the entire park and enjoy several of the shows! After visiting Sea World, I even managed to walk through the airport to catch our plane. When we got home last night, all it took to be pain free was a little ice, elevation and tylenol!! Tomorrow I am having the hardware removed from my foot. I am not at all nervous about the surgery itself, but am apprehensive about the recovery. I have been assured by both my surgeon and his nurses that recovery will be much easier this time, but I still wonder how long it will take to recover to the exact point I am now. I have worked hard to regain almost normal walking and I dread going backward.